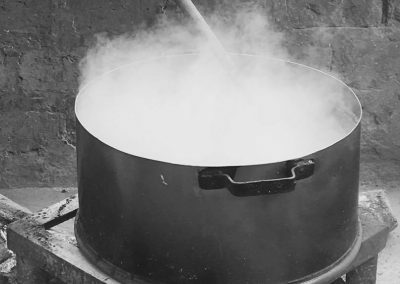 Learning is very difficult on an empty stomach, no matter how good the teacher. 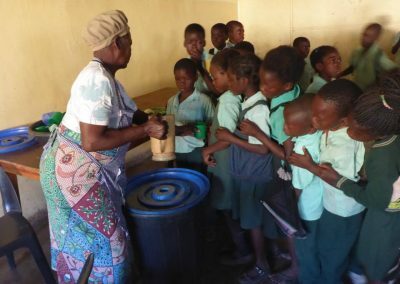 For most children in Family Futures Community School the midday meal is the main (and sometimes only) meal of the day. 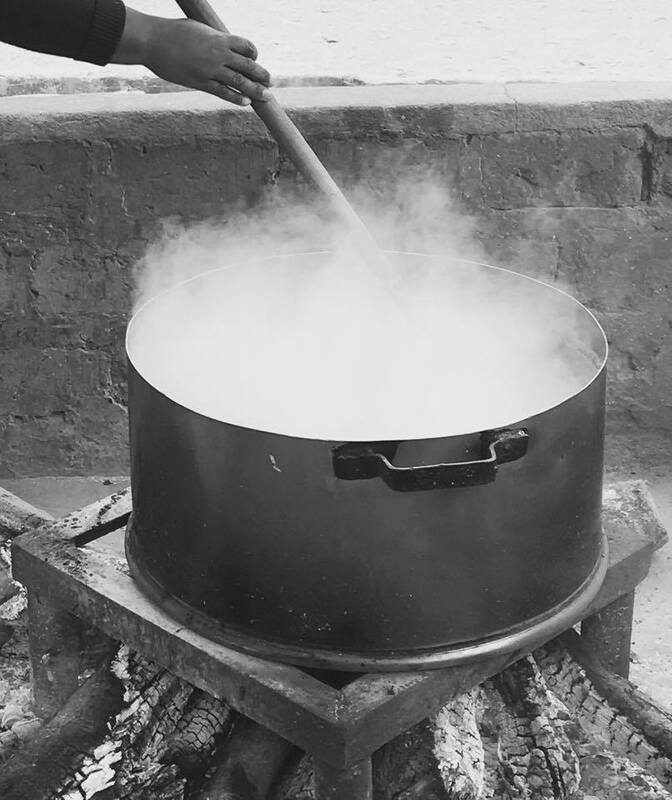 Throughout the year, 5 days a week, our dedicated team of cooks prepare drums of nshima (mealie meal paste) beans and cabbage on open fires to feed up to 850 hungry children. It costs £4 to feed 1 child for a month. 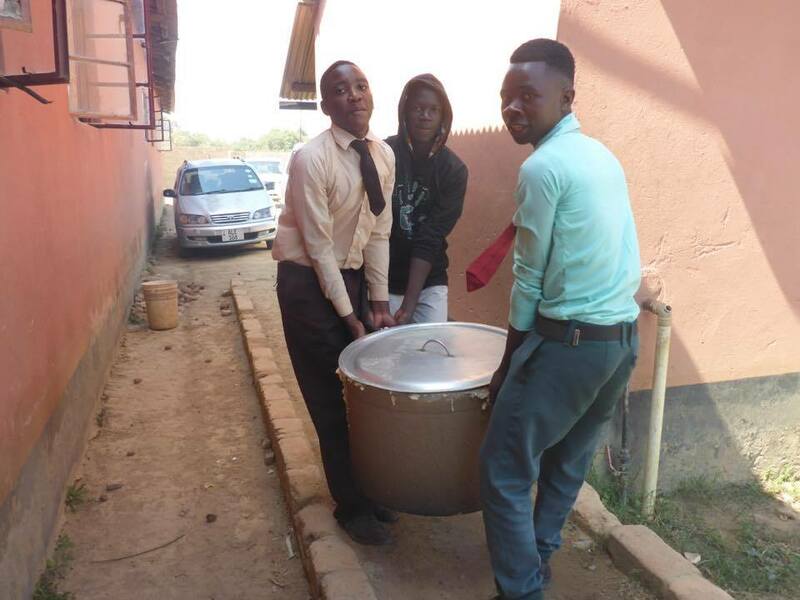 We are delighted that many of the AIDS orphans and other vulnerable children we have fed and educated in the past have grown up to become ‘pillars’ of their own community, for example by becoming teachers, healthcare professionals or learning a trade, helping to build a future for this desperately poor area of Zambia. Any help you can give to our current children will make a real difference. 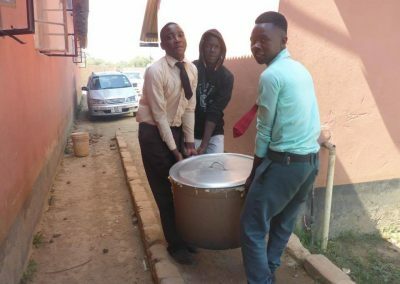 When you are budgeting for meals, do you have ‘enough to spare for a little one?’ We invite you to consider helping us with the cost of feeding one or more vulnerable children in the feeding programme at the Family Futures Community School (FFCS) in Kabwe. Imagine providing the midday meal for children sitting round your table. 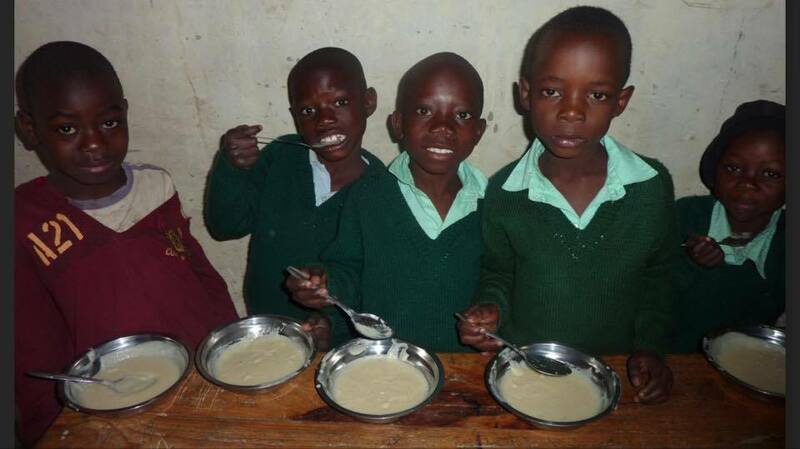 You may sponsor any number of children but ‘FEED FIVE’ and get photos and feedback. 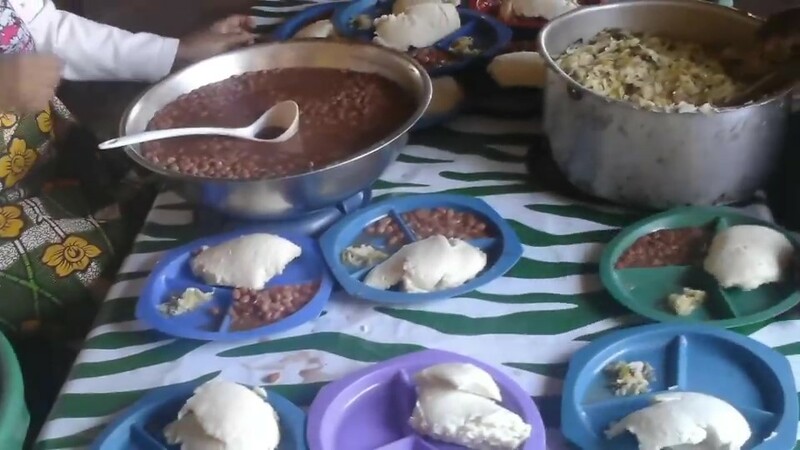 If you feel able to commit to sponsoring five children (£20 per month), you will receive a regular update with photos and feedback on the progress of the five children you are feeding. Maybe you could consider clubbing together with family members, friends or colleagues to ‘FEED FIVE’ together. Is this something that your mums’ group, church house-group or work office, could feel good about sharing? If you are a grandparent, could this be a special project to do together with your grandchild?